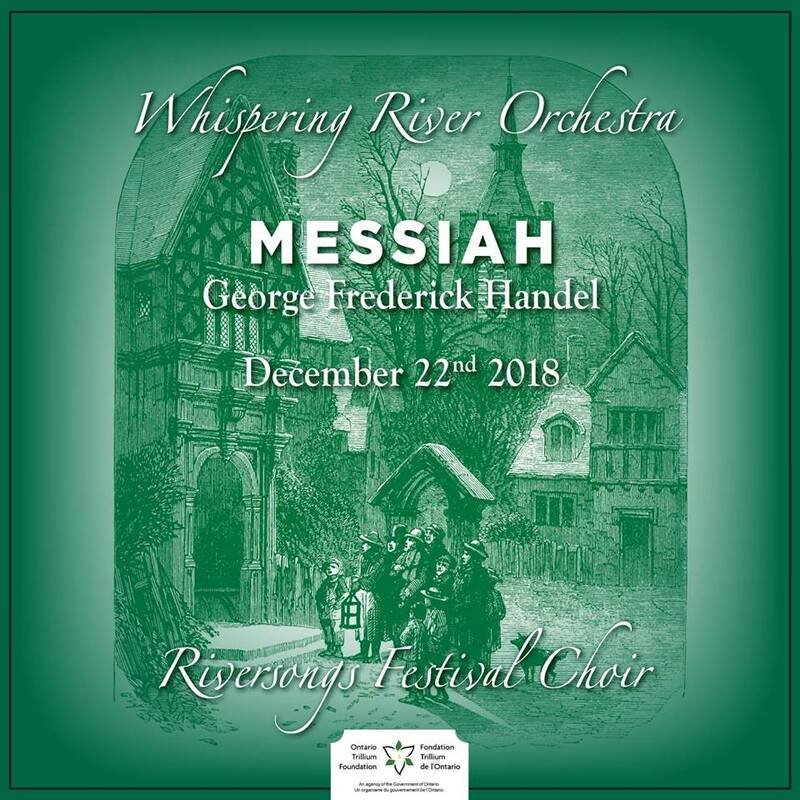 Join the Community of Greater Parry Sound in singing the Hallelujah Chorus on Dec. 22 at 7:30 pm as Whispering River Orchestra and Riversongs Festival Choir present the Christmas story from the longest running musical of all time: Handel’s Messiah. Part 1 and Selected Choruses and Arias. Featuring local and professional musicians and renowned Canadian soloists, this joyous music will bring the spirit of the season to you and your family. Guest Soloists: Amy Dodington, soprano; Celine Cascanette, mezzo; Fabian Arciniegas, tenor; Johnathon Kirby, bass. Tickets are $32 for adults and $27 for Seniors/Students. Tickets go on sale on October 17th at 10am.